Shopperz is an adware software that may install additional plugins (toolbars, extensions or add-ons) inside the Web browser in order to present unwanted pop-up ads and advertisements in every webpage the user visit. Ads by Shopperz can be installed in popular Web browsers, such as Internet Explorer, Google Chrome or Mozilla Firefox, without the user’s permission. Adware programs like this, may contain malware (malicious software) in their code in order to compromise the computer's security and make it vulnerable to hackers or malicious Internet attacks. Technically, Shopperz is not a virus and is categorized as a Potentially Unwanted Program (PUP) that may contain and install malicious programs on your computer, like adware, toolbars or viruses. If a computer is infected with Shopperz adware software, then more pop-up ads, banners and sponsored links are displayed on the victim’s computer screen or in the Internet browser and in some cases, the computer speed may be slowed down due to malicious programs running on the background. Step 1. Remove Shopperz infection with RogueKiller Free. Step 2. 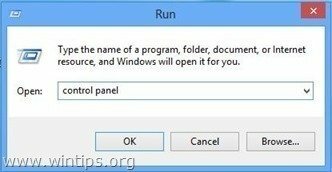 Uninstall Shopperz from Windows. Step 3. Remove Shopperz Certificates. Step 4. Remove Shopperz Ads & Adware settings with AdwCleaner Free. Step 5. Remove Shopperz Junk-ware files with JRT Free. Step 6. Remove Shopperz with MalwareBytes Anti-Malware Free. Step 7. Remove Shopperz Ads from Chrome, Firefox or Internet Explorer. Step 1. Remove Shopperz Ads malicious registry settings & browser extensions with RogueKiller. Step 2. Uninstall Shopperz Adware program from your Control Panel. Step 3: Remove Shopperz certificates. 2. Type “certmgr.msc” and press Enter. 4. At the right pane: right-click at "Cyfbo Katif" item and select Delete. 6. When prompted press Yes to confirm your decision. 7. Perform the same action and delete these two (2) items "Eyeixoon Lauvr" & "Erenvob Aband". Step 4: Remove Ads by Shopperz with “AdwCleaner”. Step 5. Remove Shopperz Ads with Junkware Removal Tool. Step 6. Remove Shopperz Adware infection with Malwarebytes Anti-Malware Free. 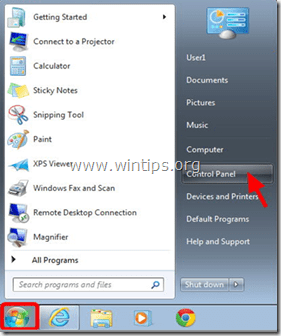 Step 7 – Remove Ads by Shopperz from Internet Explorer, Chrome & Firefox. To ensure that Shopperz Ads are completely removed from your Internet browser, reset your Internet Browser Settings to their default values. 4. Select the Trusted Root Certification Authorities tab. 5. Select the Cyfbo Katif, Erenvob Aband & Eyeixoon Lauvr certificates and press the Remove button. 7. 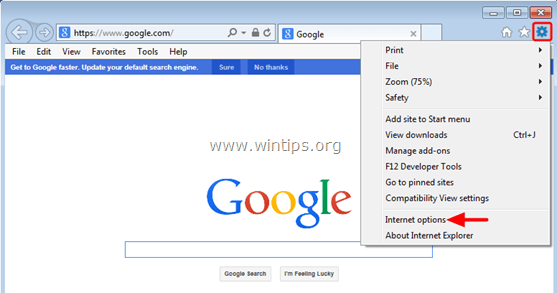 From Internet Explorer main menu, click: "Tools " and choose "Internet Options". 8. Click the “Advanced” tab. 10. Check (to enable) the “Delete personal settings” box and choose “Reset”. 11. After the resetting action is completed, press “Close” and then choose “OK” to exit Internet Explorer options. 12. Close all windows and restart Internet Explorer. 3. Scroll all the page down and press the Manage certificates button. 5. Select the Cyfbo Katif, Erenvob Aband & Eyeixoon Lauvr and press the Remove button. 7. Open Google Chrome and go to chrome menu and choose "Settings". 8. Look at the end of “Settings” options and press the “Show advanced settings” link. 9. Scroll all the page down and press the “Reset Browser Settings” button. 10. Press the “Reset” button again. Remove Shopperz Ads from Firefox. 1. From Firefox menu, select Options. 2. Select Advanced at the left pane. 3. At Certificates tab select View Certificates. 4. At Authorities tab select the Cyfbo Katif, Erenvob Aband & Eyeixoon Lauvr and press the Delete or Distrust button. 5. Press OK to confirm your decision and then close all windows and restart Firefox. 6. From Firefox menu, go to “Help” > “Troubleshooting Information”. 7. In “Troubleshooting Information” window, press “Reset Firefox” button to reset Firefox to its default state. 8. Press “Reset Firefox" again. 9. After the resetting job is completed, Firefox restarts. Note for Thunderbird Users: You must perform the same steps and remove the Shopperz. certificates from your e-mail client.